Come celebrate Easter with us! We invite you to experience the freedom we find through Jesus. Hear an inspirational Easter message and great music in a family-friendly service. There’s something for everyone, including fun photo booths, treats, plus a safe and fun environment for your kids. In our kids venue we'll feature Emmy award-winning kids entertainer, Steve Pennington. Invite all your friends to Easter with this easy shareable invite. Click to share! 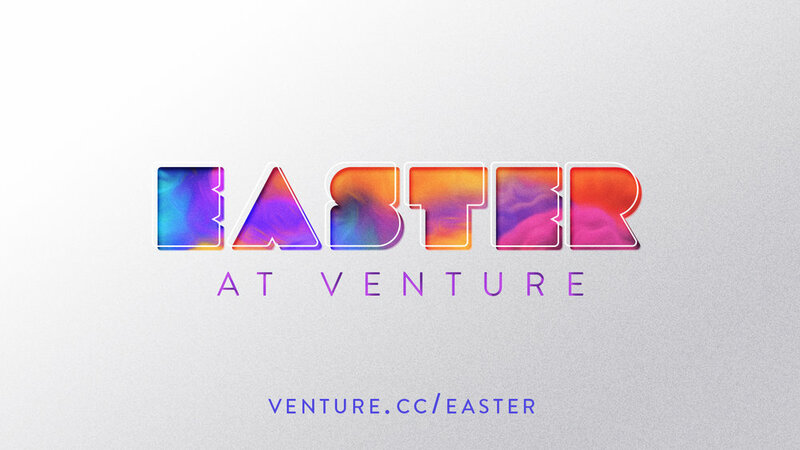 Have some fun inviting your friends to spend Easter at Venture with you! Just download, post, and invite!